Lynda.com offers free online courses by industry experts in business, software, technology and creative skills. Noted for its excellent instructional videos. Create an account with your London Public Library Card and a password. Lynda.com is owned by LinkedIn. This will allow you to complete courses and post certificates of completion to your LinkedIn profile. Go to the Lynda.com log in page. If you are offsite enter your Library Card number and PIN. Select Create a Profile. You will need to enter your Library Card and create a password with at least 6 characters including a letter and a number. You can then search for a course or browse the menu of courses available by clicking on Library. You can access Lynda.com on iOS 8.1 or later, Android 4.1 and up, Windows 8.1+, and through Apple TV or Roku. Download content for offline viewing and listen to podcasts. 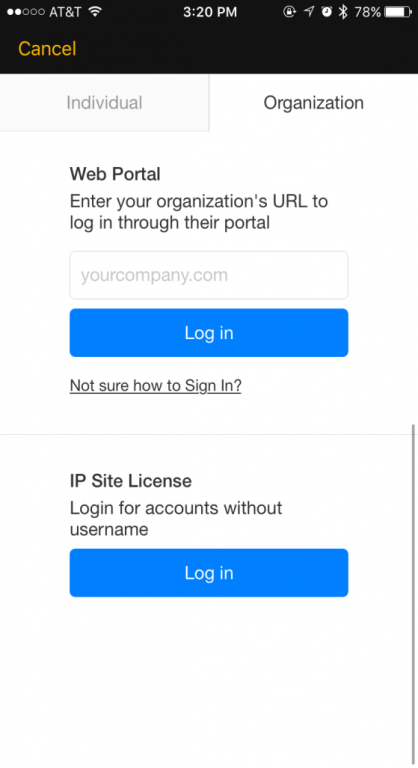 Just download the app, select to log in through Organization, select Web Portal and enter lpl.ca. The app will then open your browser and have you log in through the Library’s website for a one time authentication and then ask you if you want to open the app again. Select Open App. After that you can access Lynda directly through the app. If you have forgotten your password, you will need to contact the Lynda.com customer service by calling 1 (888) 33-LYNDA 1 (888) 335-9632. You can also contact them via the online form, but there is some personal information they cannot share through email. You can download videos for offline viewing, create playlists, make notes, and read the transcripts. Here is a video with further information. For more help, visit the Lynda.com help page. Appointments can be made Monday to Friday during business hours at the Central Library. Request an appointment using our online form here. You can make up to 2 appointments per month.